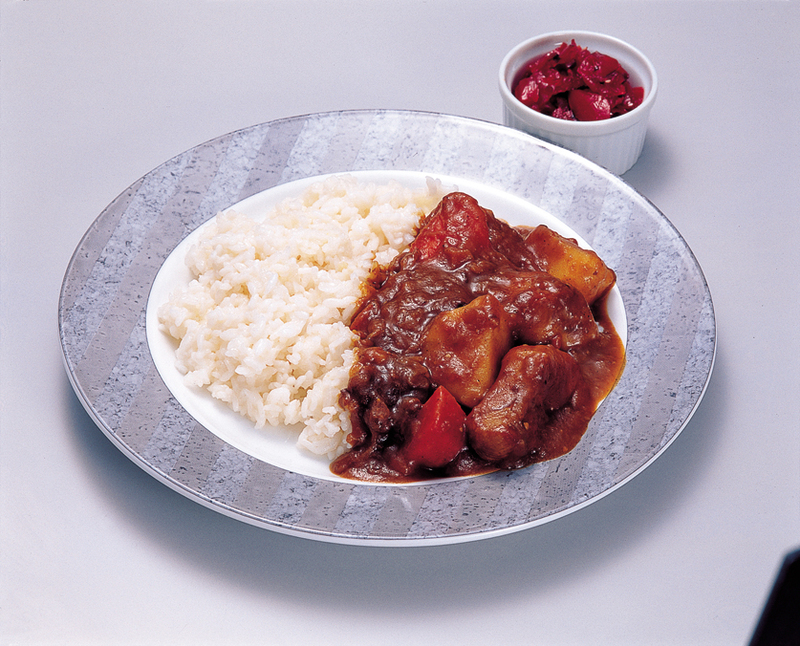 Curry rice is the Japanese version of the Indian-born dish made with vegetables and meat or seafood. Usually made with a handily packaged preprepared paste roux, it is usually quite mild and is especially popular among children and young adults, and a basic item of family-style cooking. Rakkyo (らっきょう pickled shallots) and fukujinzuke (福神漬け ふくじんづけ sliced vegetables boiled down in mirin and shoyu) are often served on the side. Related dishes include udon or soba noodles in curry-flavored broth, and deep-fried buns stuffed with curry.